﻿ Michael Robertson EXPOSED! Disturbing Facts about the founder of MP3.com, Linspire, SIPphone, and MP3tunes. The REAL Michael Robertson Exposed! by those who know him personally and have worked with him for years. Michael Robertson does NOT want you to read this website! In fact, he spent over an estimated $100,000, unsuccessfully trying to shut this site down. He obviously wouldn't want the quotes and facts exposed here to be known by the general public. We've seen Robertson go to great lengths to create a skewed public persona, quite different from the one you'll hear about from those who know him. (Read below comments from over 40 people who have worked with Robertson.) He and his family have watched, censored and whitewashed his Wikipedia entry, removing unflattering facts that tell the true story. Robertson also has removed truthful posts from his personal blog which put him in an unfavorable light. 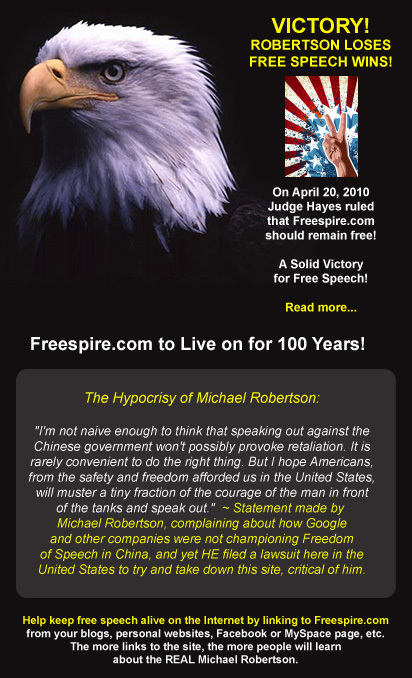 However, here at Freespire.com, you can learn about the REAL Michael Robertson, directly from dozens of people who have had the sad misfortune of having worked closely with him. NOTE: If Robertson tries to fool you by telling you that the below quotes are made up, email us us for the contact information to verify each quote for yourself. FACT: At least five former Robertson employees (that we know of) have filed Forms 3949-A (IRS's form for reporting tax fraud) with the IRS, reporting Robertson and one of his companies for tax fraud. A Jury recently backed up the underlying evidence made by the former employees in this case, but to our knowledge, Robertson has still not paid the taxes that have been due for years. It would appear, in addition to his religious bigotry, Robertson is a racist as well. Click the below image to enlarge this series of tweets between Robertson and Tony Young, President of the San Diego City Council. It's likely Robertson was thinking his comment would remain private and that Tony wouldn't have re-tweeted it. When confronted about his racist Tweet by the local San Diego paper, "Robertson didn’t back down from his critics or apologize." Also, not surprising, "No one sprang to Robertson’s defense." Before having any dealings with Michael Robertson, you should talk with those who have worked for him, partnered with him, or invested in his companies. 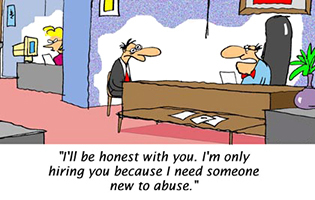 Email us for a list of dozens of people you can speak with about their experiences with Robertson, including former employees, board members, executive officers, personal assistants, affiliated businesses, vendors, law firms and attorneys, banks, insurance companies, VCs, investment banks, and investors. Please link your site to Freespire.com to help spread the word about the real Michael Robertson. Xandros, Inc., the Freespire Linux operating system, or any other commercial entity. This domain name was obtained only AFTER it was FIRST offered to Linspire, Inc. and they turned it down. This domain name was also offered to Xandros, Inc., and they likewise expressed no interest. those who believes in the First Amendment and freedom of speech. but a court ruled it to be protected under the First Amendment of the US Constitution.